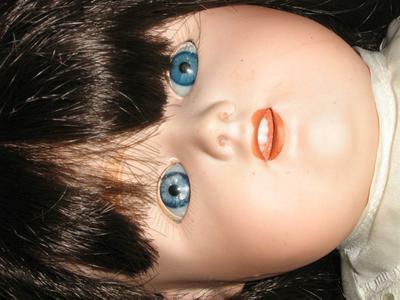 I inherited a doll that had been assembled, however her strings had rotted! 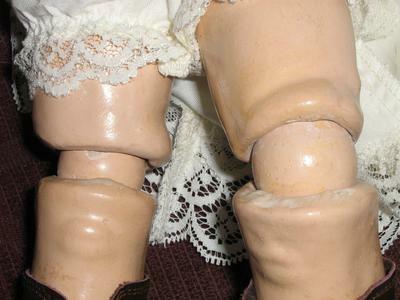 She has ball joints in her elbows and knees, is slip jointed in her shoulders, wrists and hips. 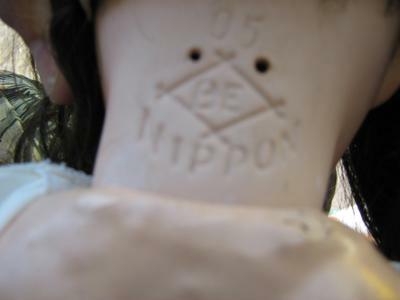 She has these markings on the lower back of her head: 05 inside a Diamond BE with NIPPON curved around the base of the Diamond, all of this is incised into her head, with 2 holes approx 1/8" across either side of the top of the Diamond. She has sleeping blue glass eyes, painted eyelashes, open mouth with 4 teeth showing. I think (?) that she may have been given to my maternal grandmother when her brother came back from WW1. I live in New Zealand as did her family. It may be RE in the triangle. Definitely made in Japan during WWI when German dolls were not being imported. Probably Morimura company, but that mark has not been confirmed. Could it be RE in the triangle? It's definitely made in Japan during WW1 period when German dolls were not being imported. Probably from Morimura, but that mark has not been documented. 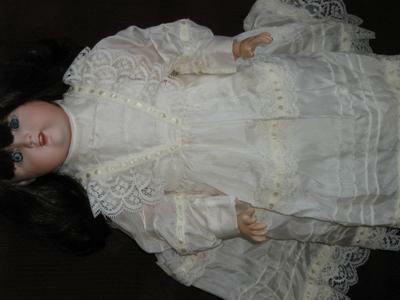 Sorry I forgot to add that I hope that someone will be able to help me ID the maker of this Doll as she is so beautiful.